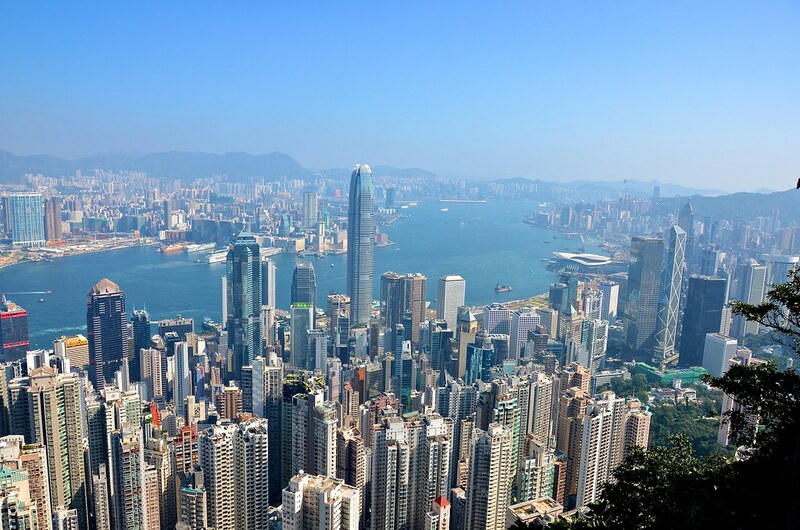 John and I went to Hong Kong for a couple of days in November 2014. 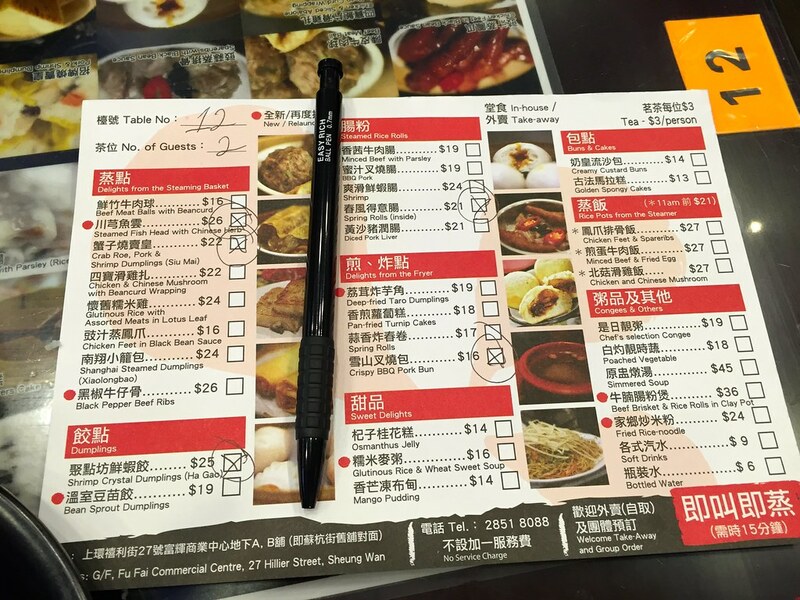 As soon as we booked the trip I started researching restaurants for Duck and Dim Sum. 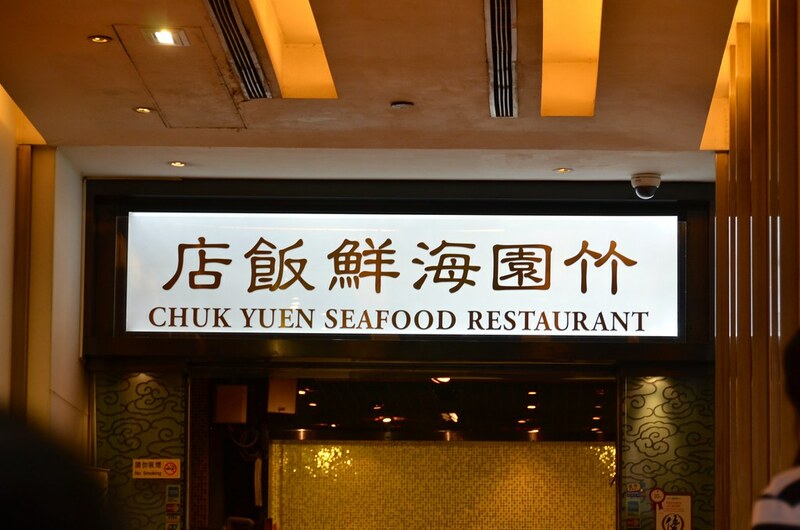 Chuk Yuen Seafood Restaurant in Tsim Sha Tsui was highly recommended by Leslie of Shoot First, Eat Later. 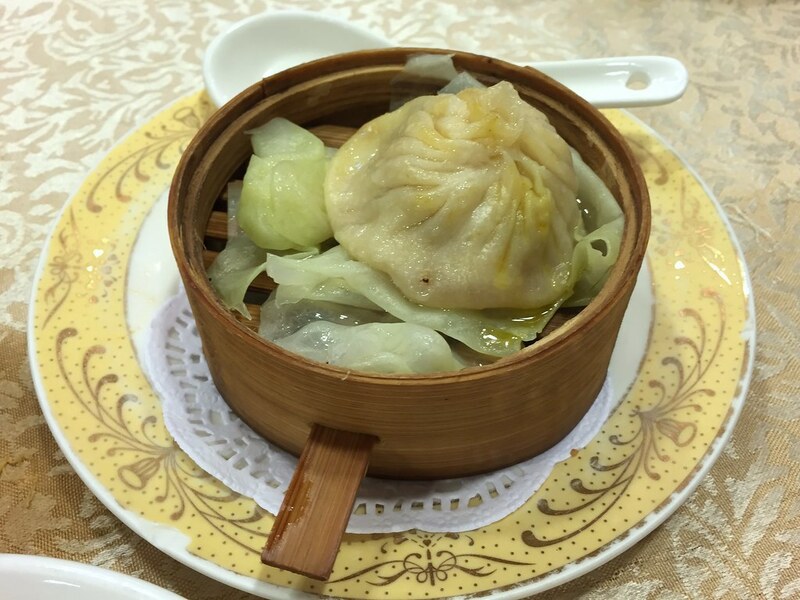 The restaurant is located in the basement of Hong Kong Pacific Centre at 28 Hankow Road, Tsim Sha Tsui. 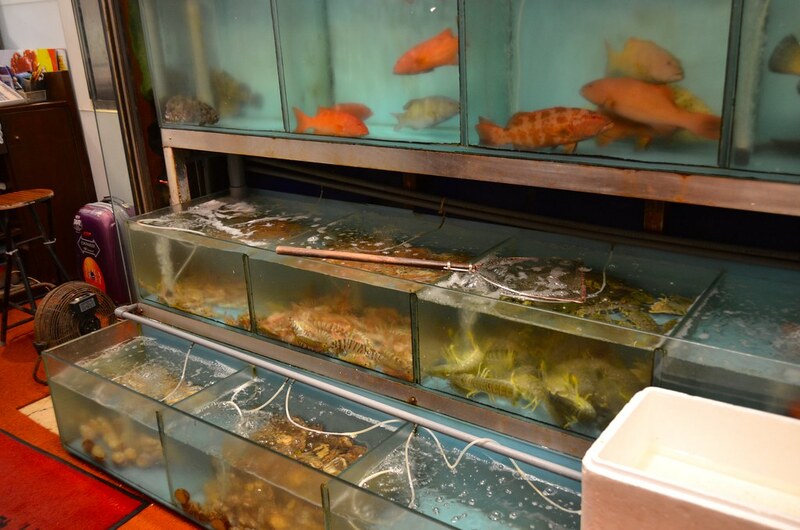 The first thing we saw were aquariums filled with many different kinds of fish and shellfish. We arrived just in time for the busy lunch crowd but with the help of a nice local lady, we were able to get our name on the waitlist. After a quick 5 minutes we were seated among the locals. 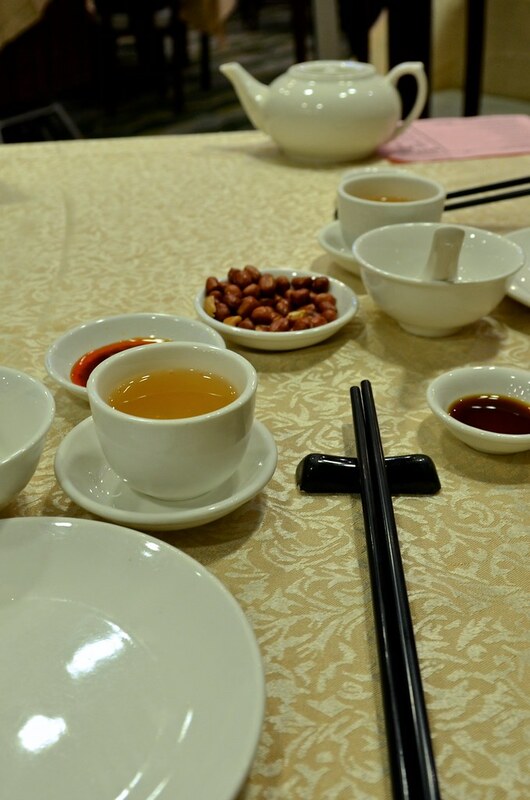 And then enjoyed some tea and nuts while we waited for our food. And we ate until we couldn’t even think about eating another bite. Thank you, Leslie, for the recommendation! 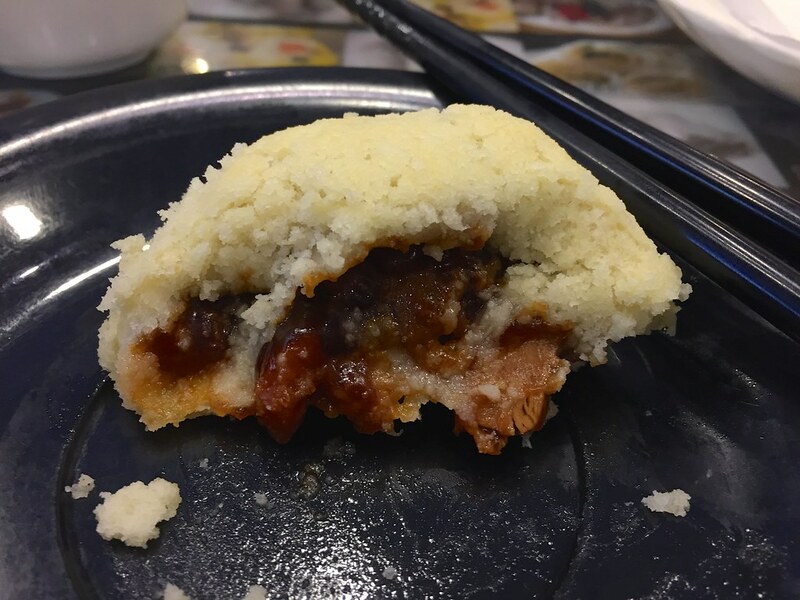 Dim Sum Square is another authentic and inexpensive dim sum restaurant in Hong Kong. 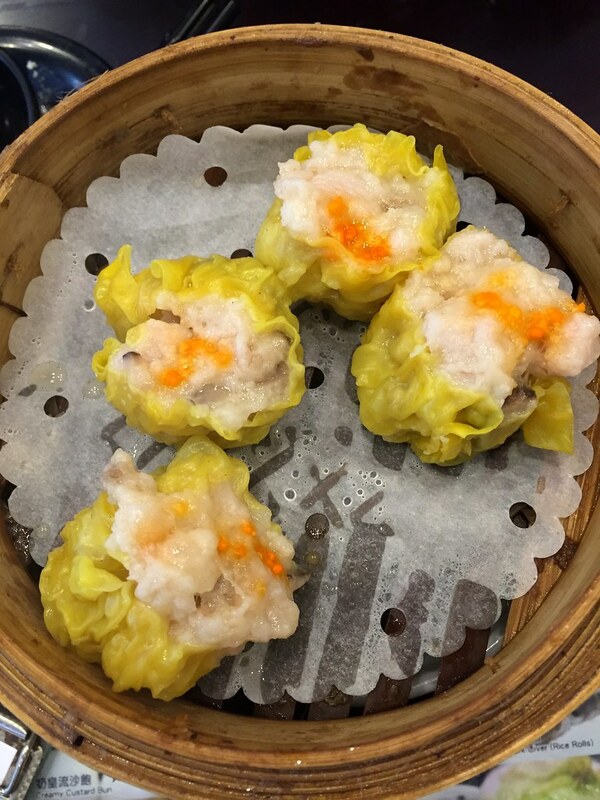 They are located in the Sheung Wan area at 88 Jervois Street. 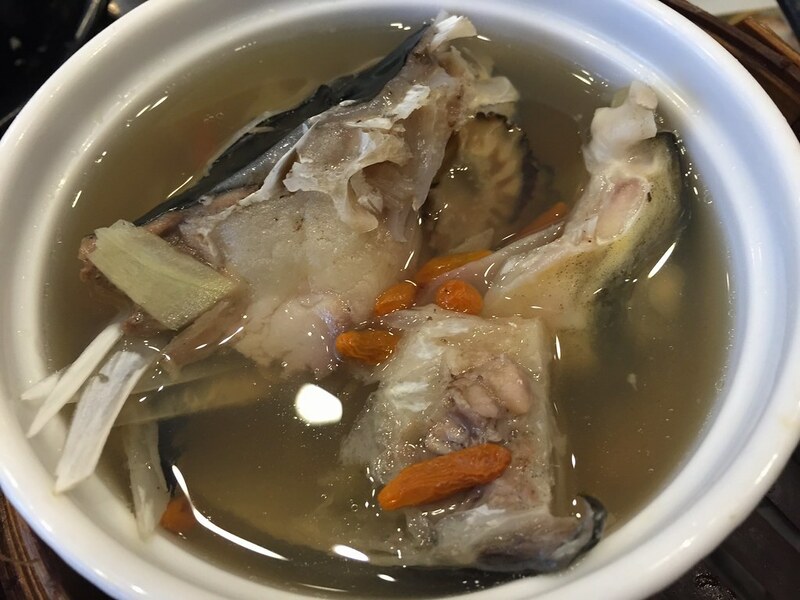 The restaurant is small but bright and cheerful. 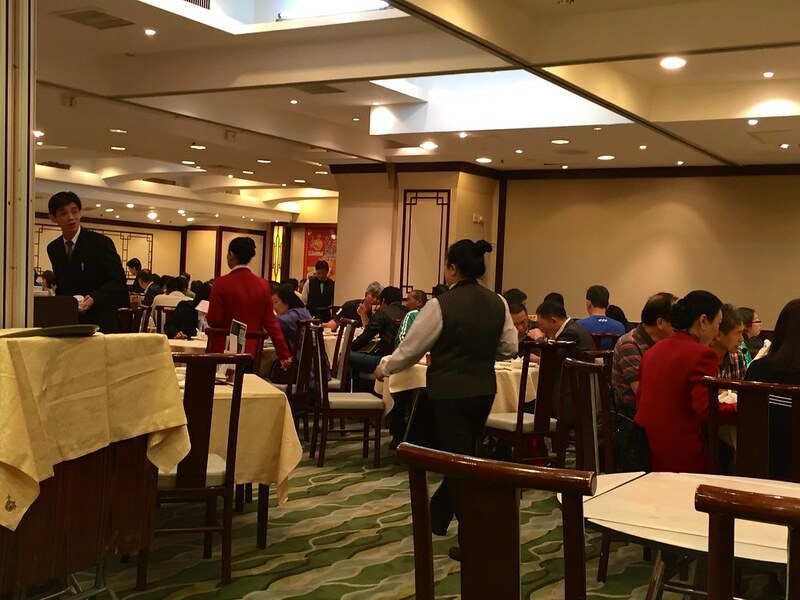 We arrived at noon and had to wait about 20 minutes for a table. 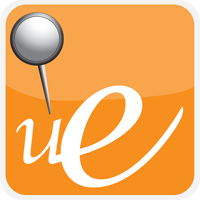 While we waited, I checked-in on >FourSquare and then read the recommendations. They were light, airy, crispy, and sweet. 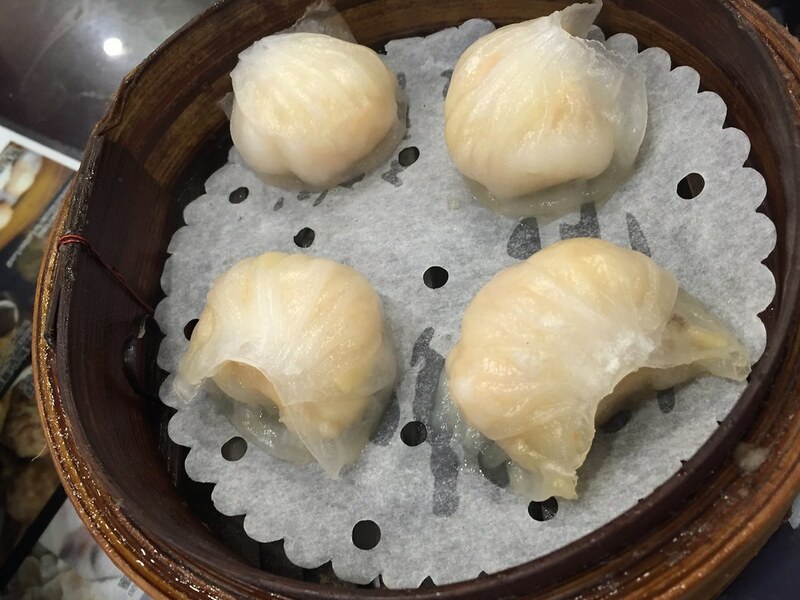 Dim Sum Square and Chuk Yuen Seafood are both great options for Dim Sum in Hong Kong but the atmospheres are completely different. I enjoyed both and I think you will, too. 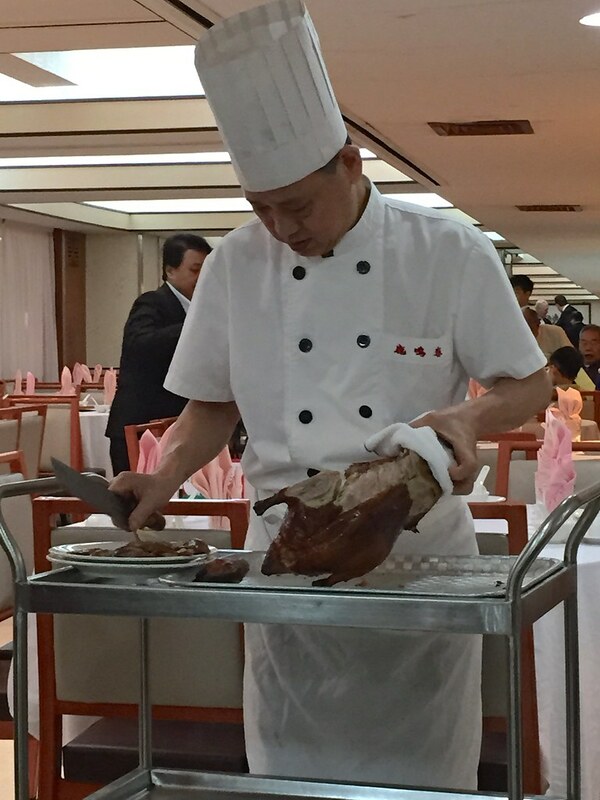 And last, but certainly not least, Peking Duck at Spring Deer Restaurant. 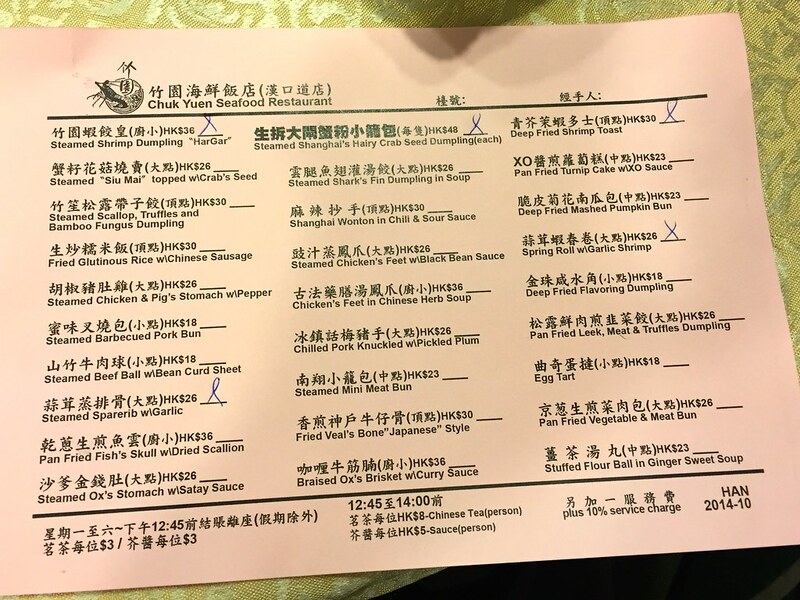 We were very lucky to get a last minute dinner reservation. 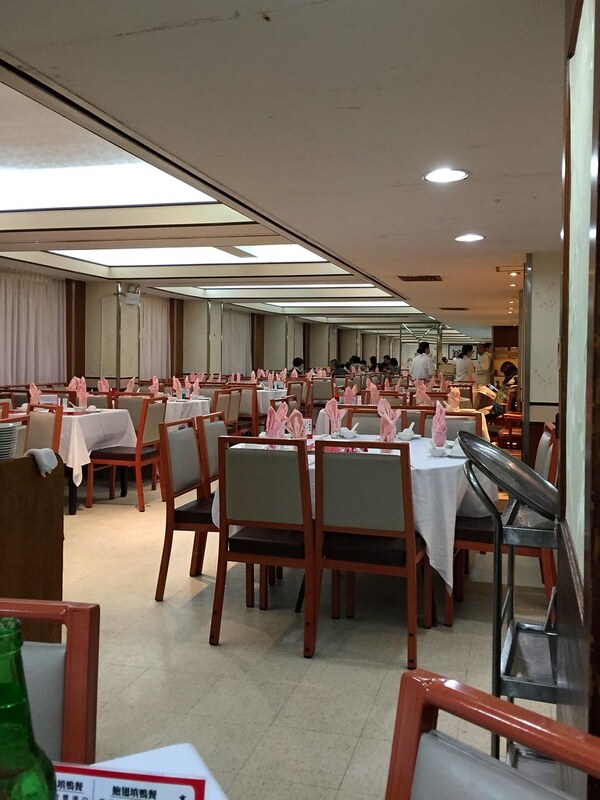 When our hotel called to check on availability, the restaurant said they would offer us a table if we could be there as soon as they opened for dinner service at 6 PM. We arrived about 20 minutes early and were promptly seated in a back corner. I was happy to see a couple of other diners. They must have begged for a reservation, too. 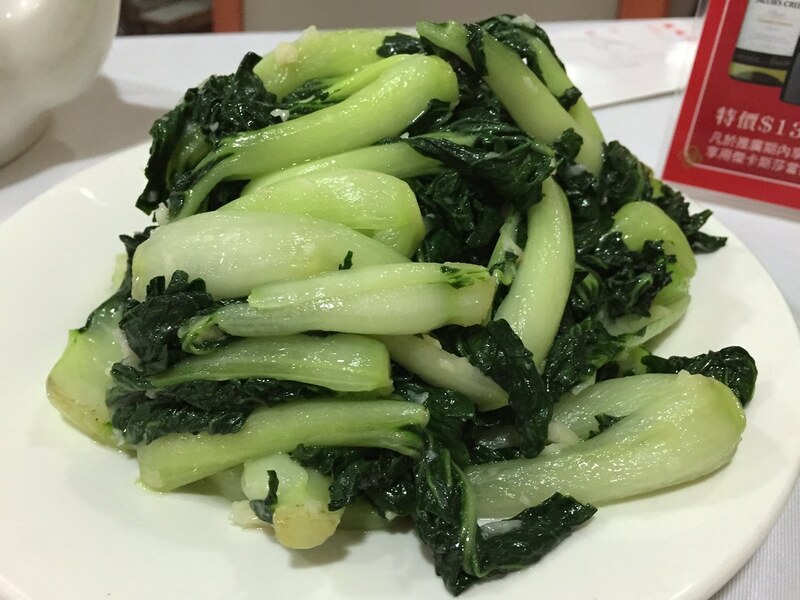 There are several vegetable dishes you can order, but I really like Bok Choy with Peking Duck. 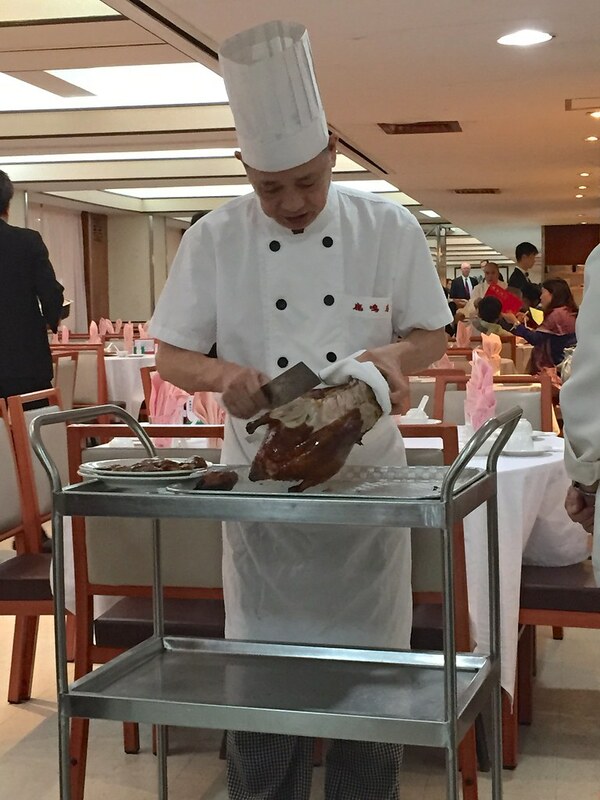 The chef presented the gorgeous whole duck and then began to slice table side. The slices were the perfect balance of skin and duck. 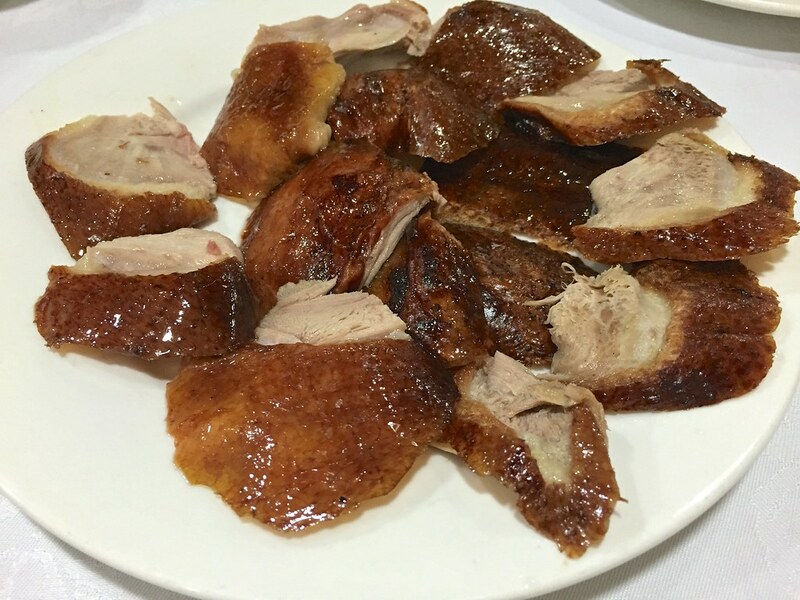 There is just something about crispy duck skin that makes me giddy. 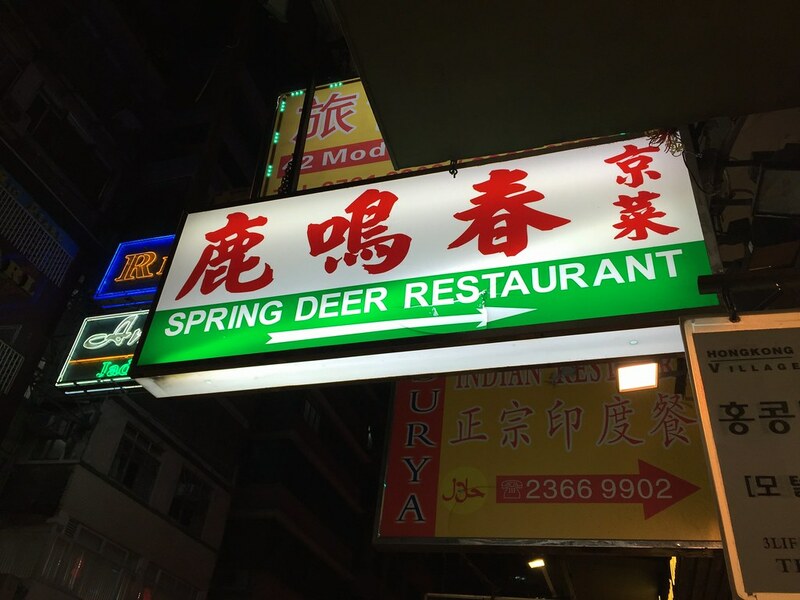 I loved our whole experience at Spring Deer. 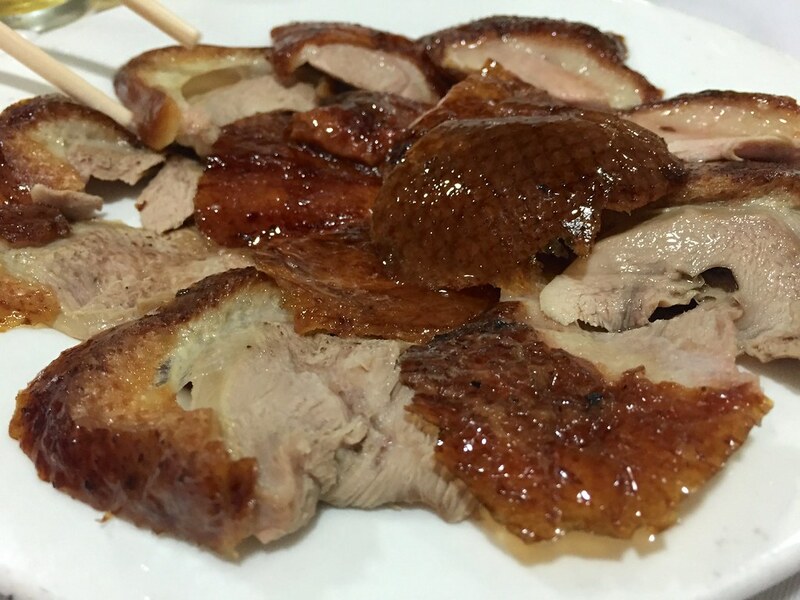 The modest restaurant, the old school vibe, and the perfect balance of crispy skin and tender meat makes Spring Deer my new favorite place to eat Peking Duck. They opened their doors in the 70’s and I don’t think they’ve changed much since day one. 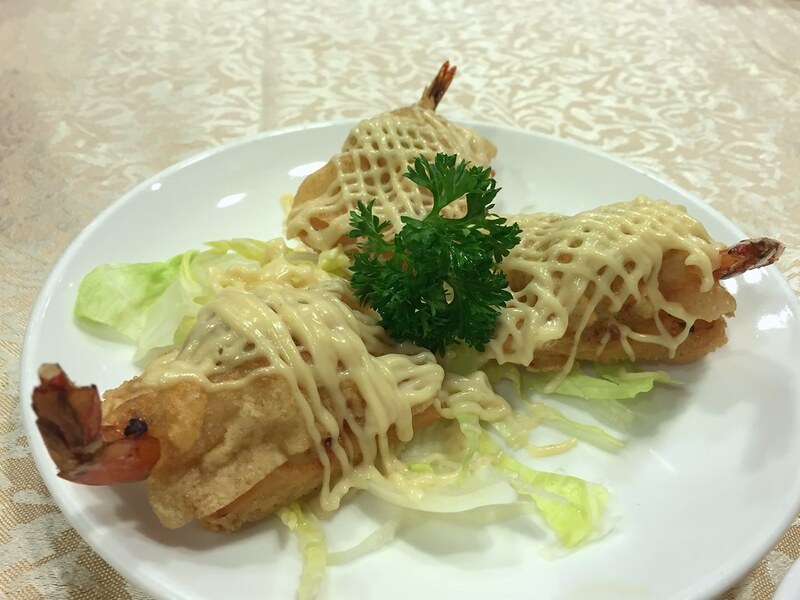 John and I are going back to Hong Kong April 2015, and we already have plans to eat at Spring Deer again. 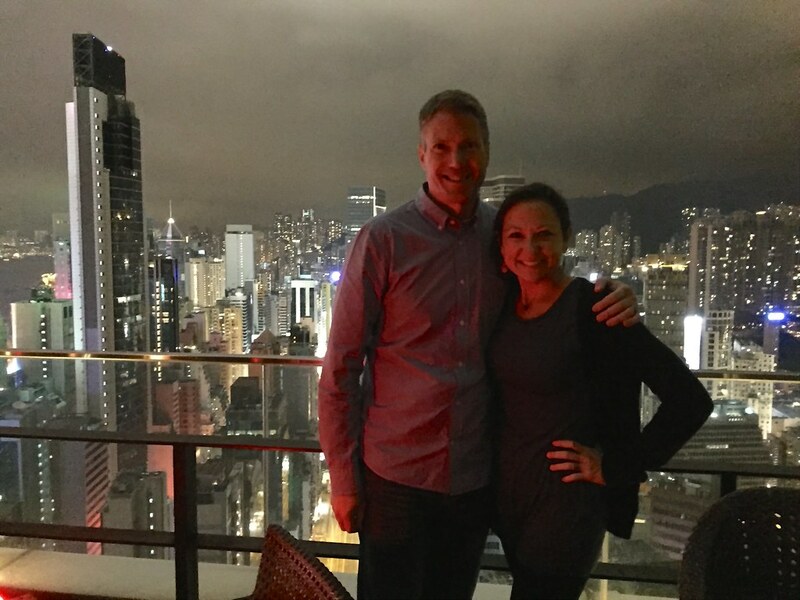 Huge thanks to the Grand Hyatt Hong Kong for calling and getting us a table! 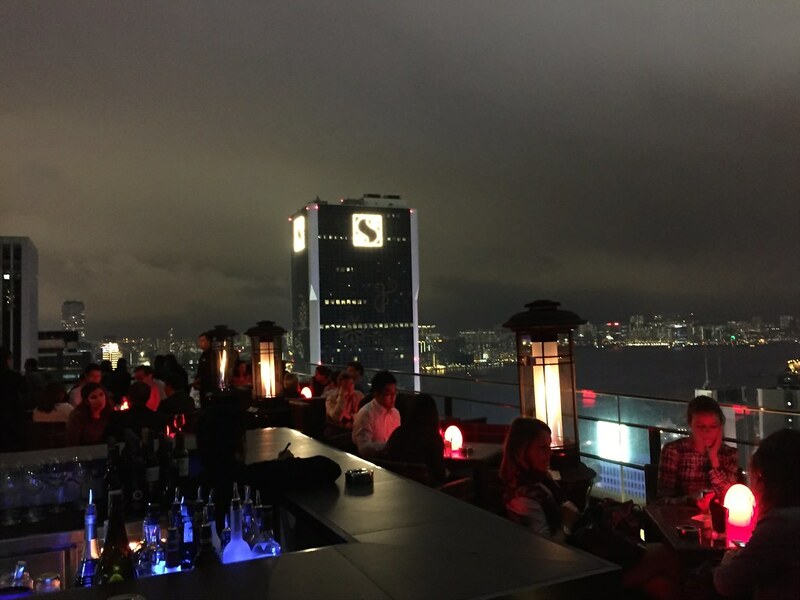 And if you are looking for a fun place to have a couple of drinks in Hong Kong, you can’t beat the view at WoolooMooloo’s rooftop bar. It was the perfect spot to unwind after a 14-hour flight. 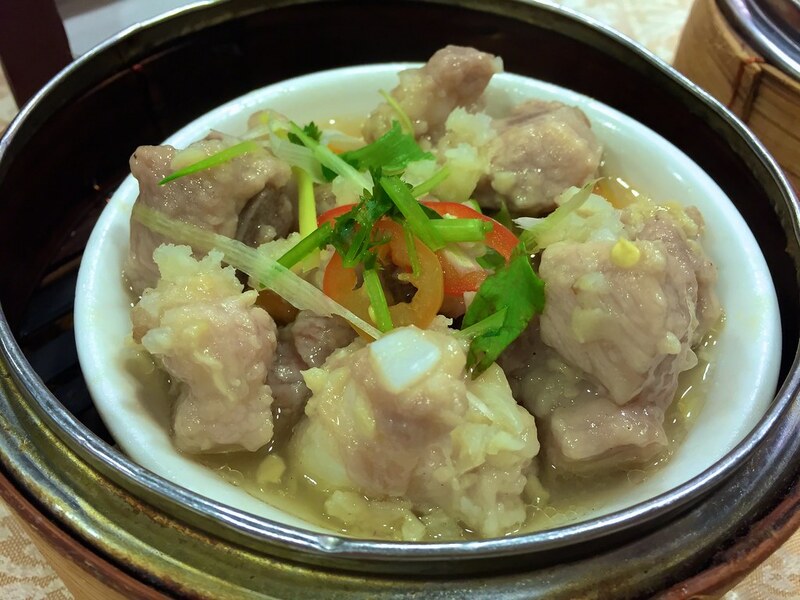 What are your favorite Hong Kong restaurants? 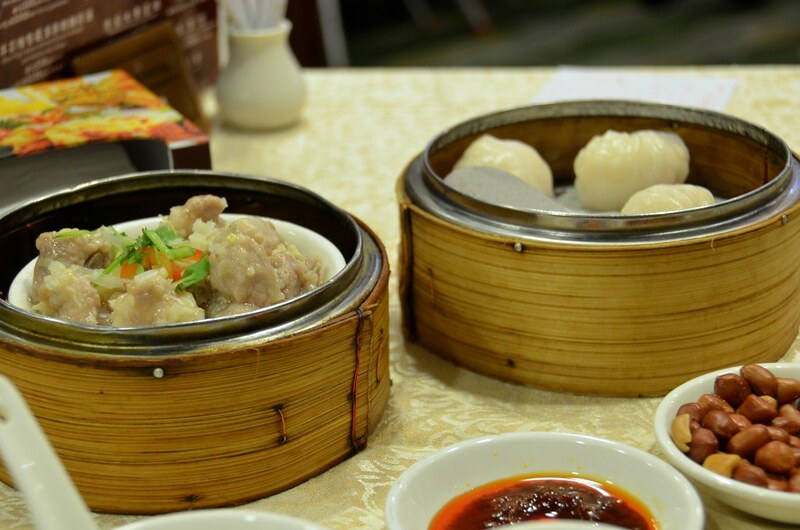 3 Responses to "Duck and Dim Sum in Hong Kong"
I’m glad you liked the food at Chuk Yuen. 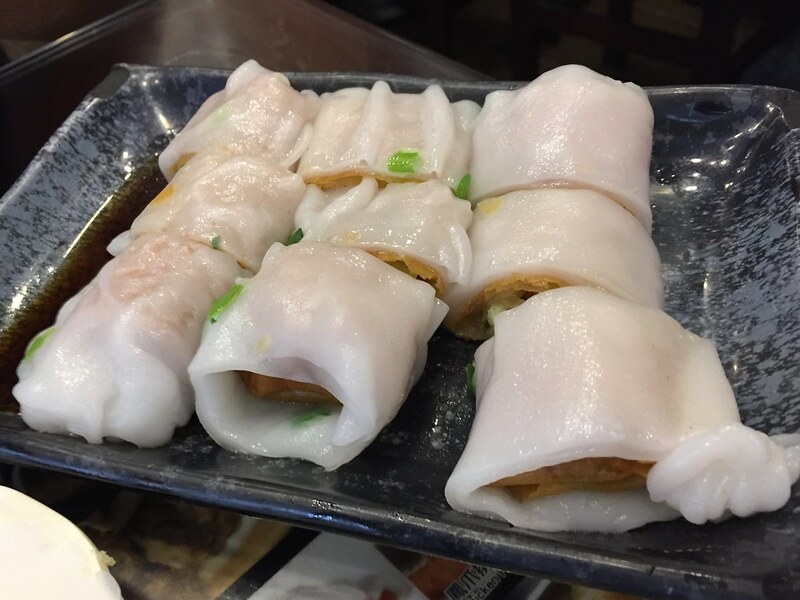 Next time you go back please order rice rolls with garlic shrimp. That’s my favorite there. I also love Spring Deer. Check my blog for my favorites there. 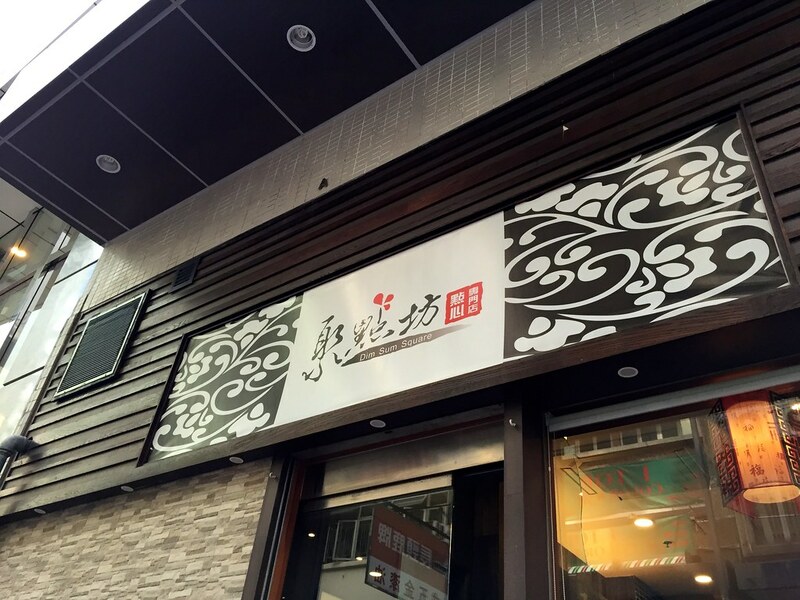 Try their Siu Kai (herbal chicken) which is available for lunch only. It’s so good and tender. Lovely article and very truly written. 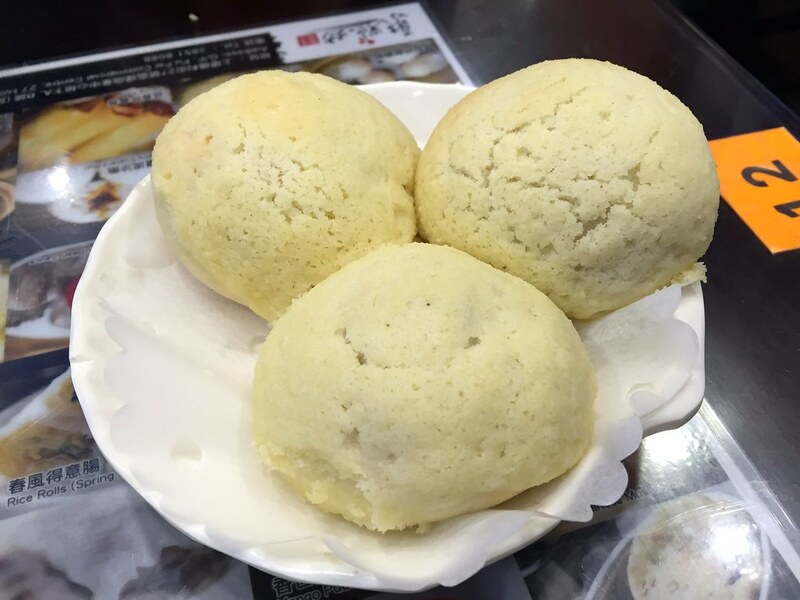 The momo pic made me drooling, loved them and your article too.